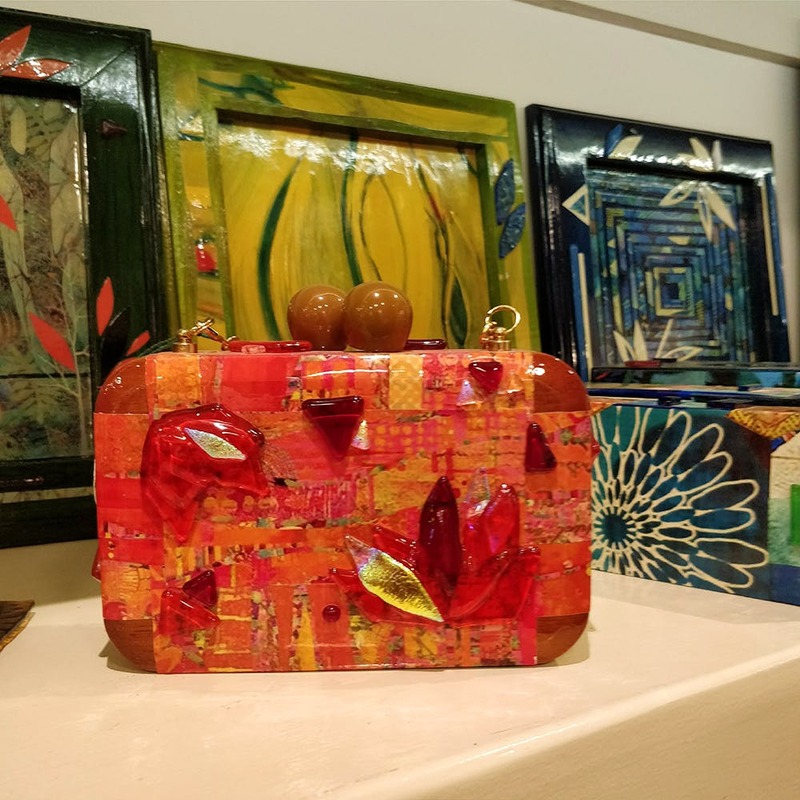 Beyond Canvas in Nungambakkam has quirky, hand-made products made from fused glass, mixed media, and mosaic. Walk by Beyond Canvas in Nungambakkam and we bet you will have a stand-and-stare moment. Well, that happened to us. Good thing we decided to go in (otherwise we wouldn’t have this) and speak to Sheetal, the owner. Every item inside is made by her and on a quirky scale of 1 to 10, these products rank 100. From making paintings to revamping furniture and creating home decor items, there's a lot that she makes. Sheetal paints mostly with acrylic and her art is functional and abstract and she mixes different kinds of media to come up with her design. We love the bookends, boxes, and painted trays - they all have unique designs like dancing elephants and are nature-themed. The blue wooden box with huge leaf designs, where every part of the leaf is a different colour, looks incredible. One bookend read ‘not enough bookshelves’ and the asymmetrical patterns and vintage vibes of the other bookends will appeal to every stationery hoarder. They are priced from INR 200 onwards. You will also stumble upon coasters, photo frames, and tea light holders at this store. We love the bright orange clutch made with gems and stones. Show up with this clutch at any event and we bet you will be the eyeball magnet. We love the Mobile Mandir, it’s a small hand-painted mandir with a bell and an idol of Ganesha. You can change the idol and add whatever you want, but the coolest part is you can take it with you wherever you go! (A little divine travel there) We love the compact green and orange lotus mandir. If your Diwali shopping is still unfinished, head to the store ASAP and shop their hanging lanterns and hand painted mirrors which come with huge chunks of beads and gemstones. Sheetal also takes old furniture and revamps them into coffee tables and desks starting INR 650, so give that table in your house a new lease of life.